The Newberry College Department of Social and Behavioral Sciences offers a two-week summer seminar for rising high school seniors. The program is designed to provide students with an intellectually rigorous college-style experience, enhance critical thinking and writing skills, and promote engaged citizenship. Get real college experience taking classes on the Newberry College campus, eating in the college Cafe and utilizing campus amenities. Gain college skills in reading, writing, critical thinking and analysis. Make college connections with support from student mentors and professors, while producing college level writing samples.  Meet with Newberry College student mentors for questions about the day’s assignments. Attend a two-hour seminar with Newberry College professors. After a short break, meet with student mentors to discuss readings and assignments for the following day. Enjoy lunch in the college cafe or catered meals. All rising seniors should consider applying! We especially encourage students to apply who may not be certain whether they can, or want, o attend college but have an interest in learning and in their ability to grow. This program is FREE to all students who are accepted to participate in the program. Click here TO SUBMIT YOUR COMPLETED APPLICATION.